Why Does My Furnace Blower Turn On And Off Constantly? One of those little but important things you may have taken for granted I the number of times a good furnace fan should turn on and off. It is such a part of your life that you hardly bother, save for the passive noticing on the blinking lights. Nevertheless, something has struck your attention and is causing you a lot of concern. If your furnace is turning on and off more frequently than you can blink your eyes, you should check the thermostat. You may not be able to comprehend the modus operandi of your machine but before you call in a technician, look out for that little device that regulates the amount of heat in the furnace. Ensure that it is working with the correct settings as per the manual that came with it. You may also need to move it away from direct heat sources. How often do you change those air filters in the furnace? The presence of impurities in the air causes the filters in the furnace clog up, trapping warm air within the unit. The accumulation of hot air in the unit sends the wrong signals to the thermostat, which reacts by turning off. Outside the unit, things are increasingly getting older, and the thermostat attempts to rectify the situation by turning on. However, warm air can’t leave the machine because dirt is blocking its exit. Replace the air filters and see if the problem continues. You may never have known that heat and water are technical buddies. Well, burning fuels produce some small amounts of water which then comes into contact with the metallic flame sensors and – you don’t need to be a nuclear scientist to guess what next – corrode them. Rust accumulates around the fire sensors, reducing their efficiency. To get it in tip top condition again, you may not be able to resist the urge to clean it yourself as a way of cutting down on costs. However, you may need to swallow your pride and call in a professional to do the job for you. If they told you size didn’t matter, well they were not entirely right. A bigger furnace may appeal to your ego, but it is a sure recipe for complications. If the air conditioning unit is too big, it will heat up your modest room too quickly and turn off. The room will become colder too fast and cause the furnace to light up again, causing the rapid on and off quagmire. You could consider getting the right size for your room by consulting experts who are familiar with BTU units. Your furnace is switching on and off at an unusual rate could be an indication of foreign materials up your chimney. Consider checking the vent and clear it of any matter that may have found refuge in the air shaft. Although these are the commonest causes of short cycling, there may be a few other factors contributing to the problem. 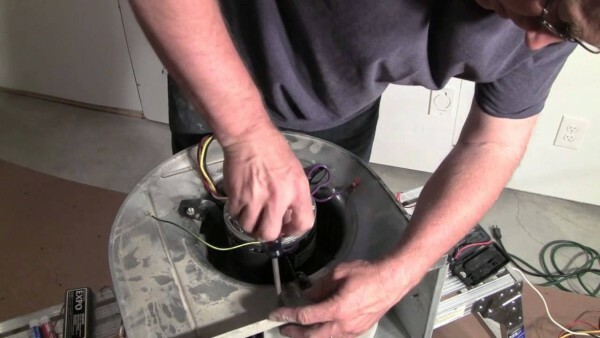 You can conduct a cursory check or get the help of an expert to avoid shortening the lifespan of our furnace.